Back in 2009, I posted There Is No New Mars about how I used to calls Mars II "New Mars" because that's what Superman called it in one story, but no offense to the Man of Steel-- he was likely wrong. 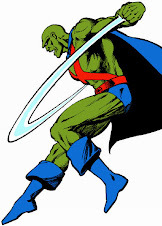 Anyhow, thanks to Superman, I used "New Mars" in error all over my old Martian Manhunter: The Rock of the JLA site and on message board postings for, like, a decade. So I'm going over all this Commander Blanx material with a fine tooth comb, including pointing out other sites incorrectly dubbed Blanx “Benn” when I come to a troubling realization. I've been talking about the differences between Pale Martians and White Martians since 1997, even though I hadn't bought the actual comics the Pale Martians appeared in until after I started this blog. The thing is-- those two comics? They don't ever feature the words "Pale Martians." The Pole Dwellers are referred to as "pale-skinned Martians" once or twice, but for sixteen years, I've been calling them "Pale Martians" like a nitwit. Presumably, I read the line "What, dear? No more talk of the 'Pale Martians' of the Poles, I trust?" in 1996's Justice League: A Midsummer's Nightmare #1 and it caught in my brain with a rare tenacity in the face of the White Martians' introduction a few months later, and my ignorance from not having read any legitimate "Pale Martian" appearances held fast even after I remedied that oversight. Commander Blanx led an army from the polar region of Mars against the Desert Dwellers in order to capture the Blue Flame of Mars. The Pole Dwellers' primary offensive weapon depicted in their scant comic appearances were green metal vehicles that moved on tank treads while saucer-shaped modules attached by a crane device fired lasers above. Presumably, these vehicles were piloted by Blanx's men, who were shown as uniformly white-skinned with bald heads and of similar build. 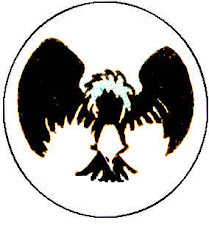 All of Blanx's men wore a simplified variation of the Commander's own costume, with marked differences. Most were identical to Blanx save for a brown cape and the absence of a headpiece, but others had color variations or bare legs. These forces had no single defining name, referred to as "soldiers" & "intergalactic hoodlums" by the Flash, "lieutenants" & "minions" by J'onn J'onzz, and "allies" by Blanx himself. Each appeared to carry a ray gun as standard issue. 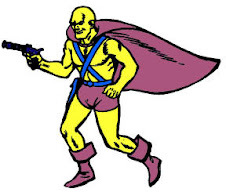 They presumably had the same abilities and vulnerabilities as other Silver Age Martians, including a lack of powers on their home planet, and weakness in the presence of extreme heat. They fought and were defeated by the Justice League on two occasions. Commander Blanx is one of the easiest casting decisions I could make. Blanx is a perfectly stereotypical grandiose movie villain with no great specificity or depths to plume. My perfect, all time pick would be Richard Lynch, one of the go-to cinema bad guys of the '70s & '80s. There's actually a lengthy list of alternates I could draw from depending on when lensing would have taken place. If the character had existed in the 1950s, Hugh Marlowe mighty have gotten the nod, while William Sadler would have been ideal in the '90s. Most of my favorites are now too old for the role, and to go a tad younger and more relevant, I almost chose Nikolaj Coster-Waldau, but he seems too hot with Game of Thrones. 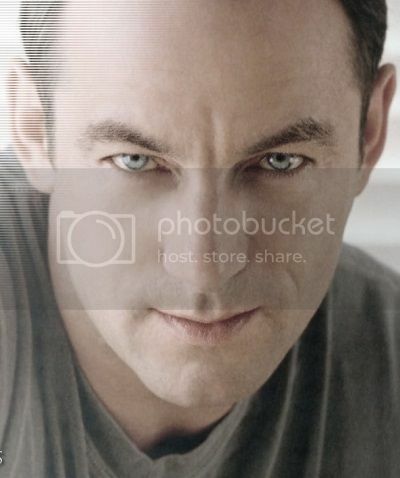 Since my other leads are in their 50s, I figured I could allow Jason Isaacs to squeak by. Before finding international fame as Lucius Malfoy, Isaacs specialized as the evil British dude in such films as The Patriot, which is exactly the sort of shorthand for "handsome, charismatic, but genocidal Aryan" I'm looking for. I've got at least four things that I'd really like to do across the last days of "October Commandeered" that I think would be very cool to let out into the wild. However, I am quite tired and unmotivated to bring any of those projects to fruition starting at 4 a.m. So I'm taking today off, hopefully to return energized for the rest of the month. To prevent today from being a complete waste and to remain on topic, I'd like to make a brief clarification. 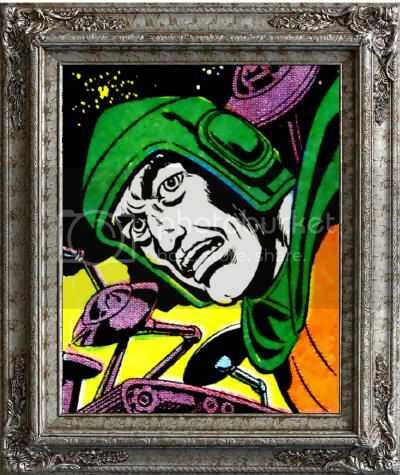 Commander Blanx has appeared in exactly two published comic book stories. In neither of these stories was he given a first name. 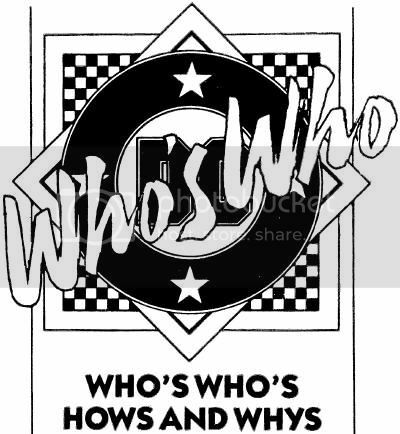 The only official DC Comics publication to reference Blanx was Who's Who: The Definitive Directory of the DC Universe, which did not offer a first name. 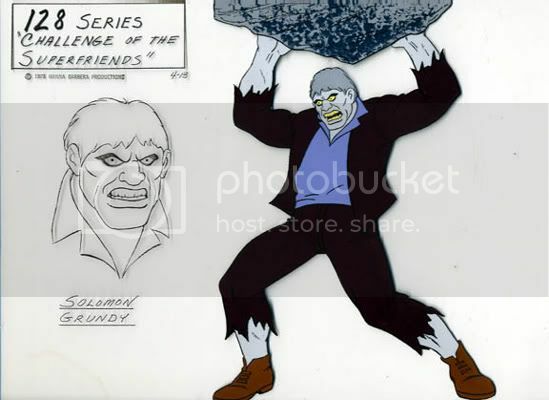 Blanx was also mentioned in the non-canon Super Powers mini-series and on the card back of the Kenner Martian Manhunter action figure, but again, only as "Commander Blanx." 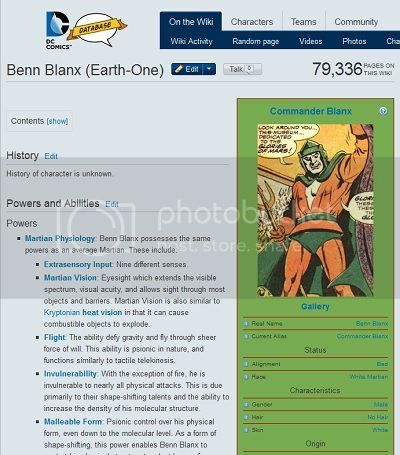 I believe I first saw the name “Benn Blanx” on an internet website in the late '90s, it is currently featured at DC Comics Database (Wikia), and occasionally pops up on the likes of Wikipedia edits. If anyone could direct me to a citation for this name, I would happily give it a look, but I'm pretty sure this is a long lived viral mistake, most likely involving confusion with B'enn B'urnzz. So, barring substantiation, cut that out. With notable exceptions, Martians lack the fixation on alliteration prevalent in Silver Age comics. Powers: Enormous strength and durability, tunneling, mild telepathy, and acid projection capable of liquefying organic matter. Bio: A predatory animal species dangerous enough to unite Green & White Martians. Appearances: 350+ comics, numerous cartoons, live action TV, musical references, video games, and toys. Powers: Immortality with extraordinary strength, stamina and durabilty making him relatively invulnerable. Bio: Cyrus Gold had a miserable, impoverished 19th century life before finding wealth through shady means, and was murdered for it in a Gotham City swamp. He resurrected as a hulking undead menace in the 1940s, and has plagued humanity with his murderous rampages ever since. The Martian Manhunter turned one of his arms into a guillotine/The Pit and the Pendulum type thing and bloodlessly punched Giganta in the face with it. 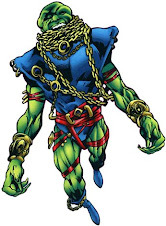 Later, an action figure was made of J'Onn J'Onzz in this state, based on the single unexceptional image. Metamorpho and Red Tornado joined in on this attack of a fifty foot woman, which can be taken as either a credit to Giganta's stamina as a Wonder Woman villain, or the same lack of imagination and research that went into the aforementioned action figure. Even adding Hawkman and Hawkgirl couldn't get the job done, but the sprawling battle abruptly halted on page thirteen because the Fighty McFightenstein was threatening to overwhelm the entire series without allowing space for poorly constructed resolutions. The heroes' supporting casts were released from their doom-y captors and reunited with their headliners. J'Onn J'Onzz was warmly embraced by Captain Harding Diane Meade Zook J'en no one at all because Alex Ross is a child of the '70s who never read a Martian Manhunter story before Crisis. Instead, J'Onn nodded at Black Canary and Green Arrow as they supported the ailing Elongated Man, all essential to liberating the hostages. Well, not J'Onn. He just had to punch a monkey and managed to screw that up, almost blowing the rescue. Talking of whom, Grodd crawled out of some wreckage, and Flash began to race at him. "You will never hurt anyone I love again, Grodd!" In his most impressive display of the entire series, the Alien Atlas calmly halted the Scarlet Speedster in mid-blur before he could get his next manslaughter indictment rolling. 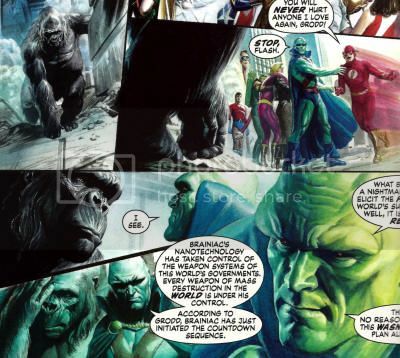 J'Onzz read the not-so-Super-Gorilla's pressing thoughts. "I see. Brainiac's nanotechnology has taken control of the weapons systems of this world's governments. Every weapon of mass destruction in the world is under his control. According to Grodd, Brainiac has just initiated the countdown sequence. What began as a nightmare vision to elicit the help of the world's super villains, well, it is becoming real. There's no reason to believe this wasn't Brainiac's plan all the time." Thanks for all that exposition, Manhunter, but a) how did Grodd know all that, b) why didn't Grodd act on it sooner, and c) why doesn't Brainiac nuke us from orbit, just to be sure? If all Brainiac wants to do is kill Earth, there has to be an easier way, if he puts his mind to it. Meh. 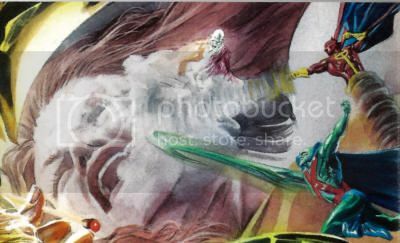 "Chapter Eleven" was plotted and painted by Alex Ross. The script was provided by Jim Krueger, and the penciled layouts by Doug Braithwaite. I had to take a nap after writing this. I think my brain shut down as a protective measure. Ross is as lousy a writer as he is great as a painter. "Another pic of the 'Justice Leaguer' vs 'Spiderman's foe' series. 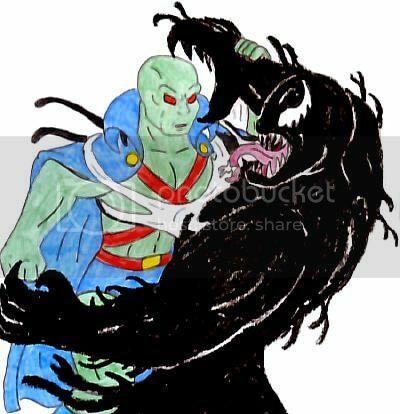 J'onn J'onzz, The Martian Manhunter, versus The Lethal Protector, Venom." Well, if any deadly foe of Spider-Man was going to step up to the Alien Atlas... okay, any without fire-based powers... no, pretty much none of them could step up to the Martian Marvel. Firelord? Per J'onn J'onzz, the Cultural Museum was "a place originally dedicated to celebrating [Martian] civilization." Commander Blanx critiqued that the museum was supposedly "dedicated to the glories of Mars," but saw its pictures and statues as "things of weaklings!" The museum also contained "implements of war" largely abandoned as the planet strove for peace. 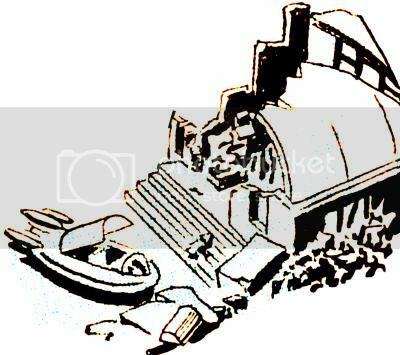 After the destruction of Mars by the Blue Flame, a substantial portion of the multi-story museum remained, though a large globe was made worse from wear after being used to crush Blanx during his final confrontation with J'onzz. Commander Blanx detected a teleportational probe-ray coming from Earth near J'Onn J'Onzz's place of exile over a span of several days. Blanx set up a "trial offering," a space capsule filled with a cache of Martian weapons, to test their journey. The capsule arrived safely on Earth and was recovered from an empty lot by the notorious ex-convict Buggsy Roach and his gang. The hoodlums then used the "super-powerful Martian weapons" to commit crimes in Middletown, U.S.A. 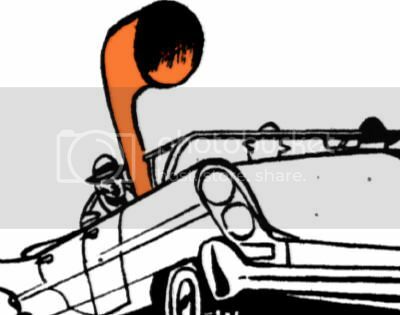 The weapon dubbed by Earthlings as a "Super-Magnet" was of similar size and shape to a tuba, which was used to target and draw out bags of money from an armored car. Another fantastic weapon fired "paralyzing rays" that halted armed guards for an unspecified period of time. 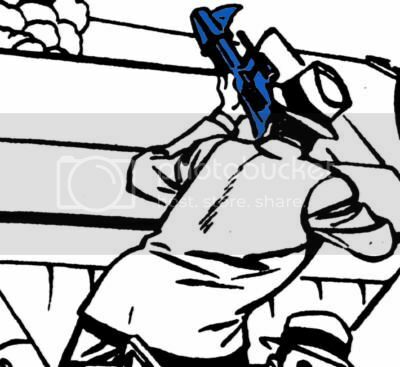 A "ray gun" rifle emitted a "super-heat wave" capable of melting terrestrial bullets fired in mid-air. Finally, the Super-Radarscope could detect approaching Martians, even when they were invisible. In fact, J'onn J'onzz confessed vulnerability to all of these weapons from his home world. They are believed to have been destroyed in an explosion, per Detective John Jones' official police report. What do you have against Green Lan­tern? Well, Green Lantern villains, at least. I recall a letter from Kent A. Phenis asking for the reappearance of the Dazzler and the Bottler. Well, Kent, I hate to tell you this, but they no longer exist. Unless Mr. Wein devotes an issue to villains who were left out. And if he does, we'll also have to see the Crumbier (another GL villain; it must be a plot). And how about Bel Juz, who started the Earth-Mars war, or Erg-Master from DC COMICS PRESENTS #79. Dr. Sivana— come on, how could you have missed him? 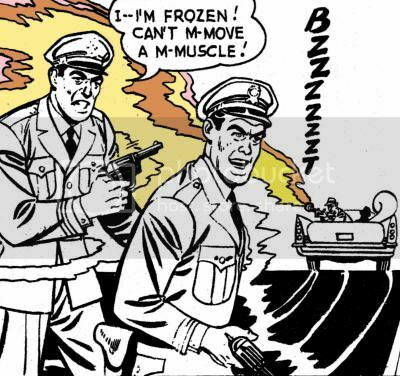 And the Cryonic Man? As you may have guessed, I like super-villains, so don't for­get I'll be watching. Also, AMBUSH BUG #4 implies that you won't include Itty (also from GL, it's a conspiracy!). I think I've complained enough, so I'll let you get back to writing your Forgotten Villains issue (wait, you've already included them. How can I complain?). When we have the space, we try and get in everyone, such as next month's entry on the Invisible Destroyer, A Green Lantern vil­lain who appeared only twice—SHOW­CASE #23, 1960. For the record, Bel Juz had appeared in four issues of two series, and was a major player in both J'Onn J'Onzz's departure from and return to Earth, not to mention prompting the formation of the Detroit era Justice League. Wein's reply appeared in an issue that featured Harpis from the Omega Men, Son of Tomahawk, Helix, the Heroes of Lallor, and Lieutenant Hunter's Hellcats, which certainly did nothing to shut the door against nitpicking. Popular artist Phil Jimenez also got a letter printed that month, which is peachy! 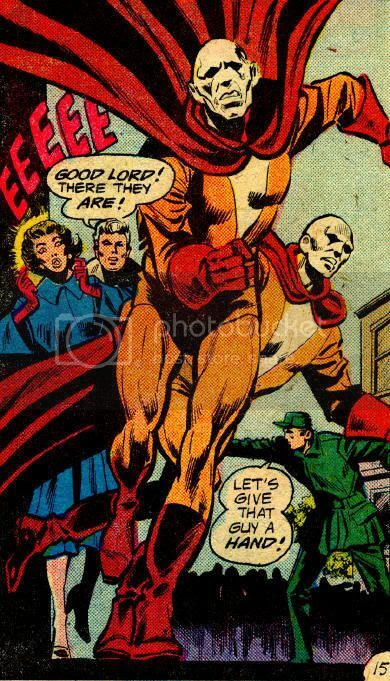 Powers: Superior strength, energy-projecting gauntlets, and an army of headmen. Assumed Earth was doomed. Made himself into a big ol' cyborg. Created spider-legged robots who murdered hobos and used their bodies as automatons. Built a space ark. 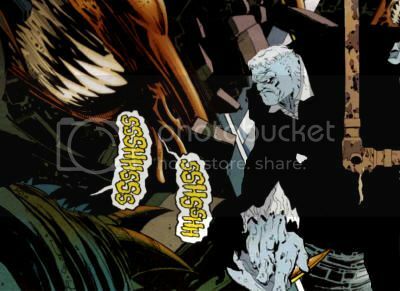 Martian Manhunter trashed all of it in issue #1 of his ongoing series. Appearances: 600+ original comics, decades of animated series, live action television, toys, video games and more. Powers: Twelfth-level intelligence enabling a near limitless number of additional superhuman abilities. I feel like the Headmaster could have done better against the Weapons Master, although that's definitely disputable. 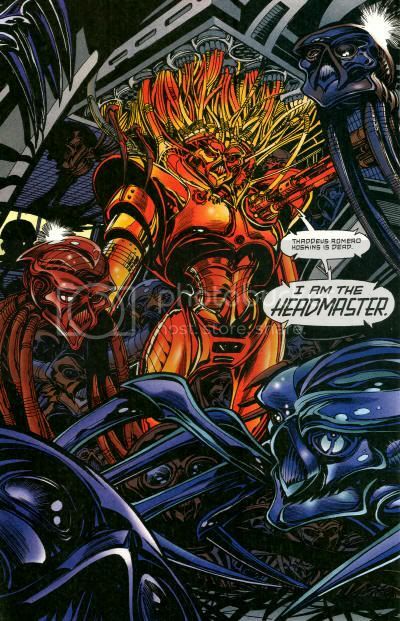 The Headmaster is a reasonably powerful guy whose standing in the Vile Menagerie bares improvement, but then again, Weapons Master did hold off a respectable JLI line-up. Hopefully I can get Headmaster a decent match eventually to notch a win. This won't be it. 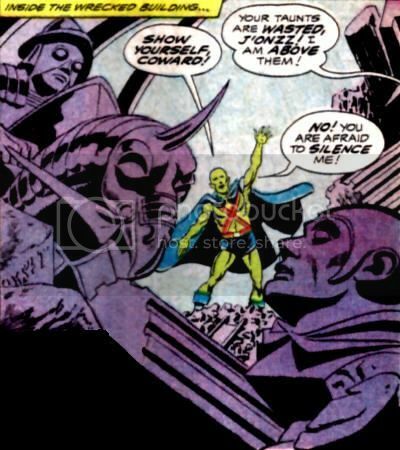 The Headmaster got beaten handily by the Martian Manhunter in his only story appearance, while Brainiac is one of the few Superman villains people like and respect. 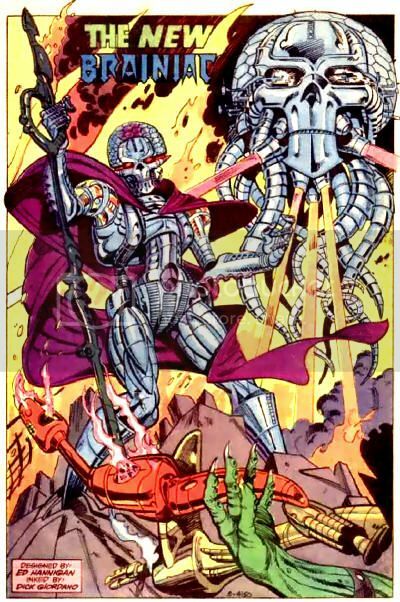 Crossovers have been built around the threat of Brainiac. Headmaster didn't even rate a story arc, nor multiple appearances, making him a lesser creation of the Ostrander/Mandrake run. He's simply outclassed in every way here. Even though the various super-heroes were known to still be alive and active, the Legion of Doom all drank wine and put on tuxedos and unfurled "Mission Accomplished" banners. 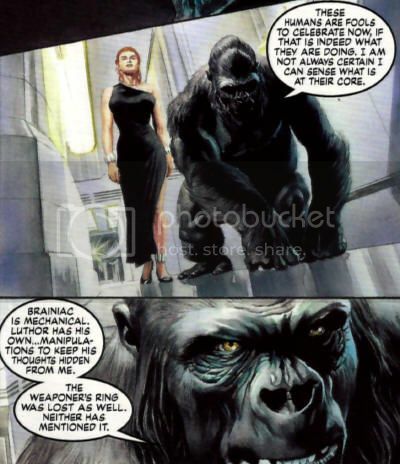 Gorilla Grodd got speciesist with Giganta, then stated, "These humans are fools to celebrate now, if that is indeed what they are doing. I am not always certain I can sense what is at their core. Brainiac is mechanical. Luthor has his own... manipulations to keep his thoughts hidden from me. The Weaponer's ring was lost as well. Neither has mentioned it. This is part of their damnable plan. Somehow it is all a component of their ambitions. They will deal with me for as long as I am essential to them. Still, they cannot control me, can they?" At the shindig, Brainiac tried to use Aquaman's baby whose brain he'd rewired from Radio Shack electrodes to mind-control the Super-Gorilla, but it just seemed to make him irate as he cursed the sudden but inevitable betrayal discussed one story page and a spread ago. "You planned this, didn't you? Et tu, Luthor?" Oh, did I forget to mention the monkey trap was sprung as Grodd was informing the gathered super-villains that he'd detected all the super-heroes about to smash through their door, because that happened. 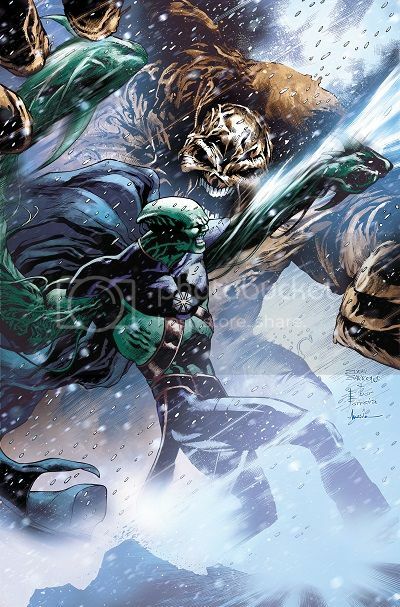 The professional story writing continued as Captain Cold shapeshifted into the Martian Manhunter, who punched Grodd once in the face and left him unconscious on the floor for whole minutes. Setting aside that J'Onn J'Onzz wasn't wearing his godawful purple armor from last issue (ever again,) leaving him vulnerable to Brainiac's enslaving nano-worms... and also setting aside that taking Grodd out was essential to a stealth initiative meant to rescue the captive supporting casts of the heroes, which it failed to fully accomplish because Grodd soon awoke and alerted counter agents... but also that one punch was the resolution to the massive power struggle between Martian Manhunter and Grodd from earlier in the series. The Alien Atlas relives the destruction of Mars and burns under unquenchable flames for several issues, and retaliates with a single ineffectual love tap before flying off to wrestle with Giganta in the background of other characters' scenes for the rest of the book. Given the choice between an Alex Ross cover and an Alex Ross story, you're better off with just the cover. 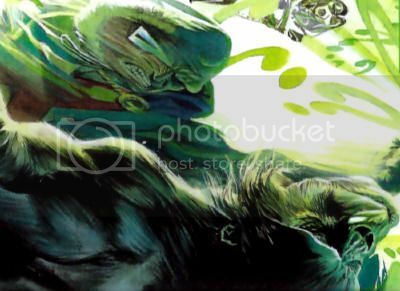 "Chapter Ten" was plotted and painted by Alex Ross. The script was provided by Jim Krueger, and the penciled layouts by Doug Braithwaite. 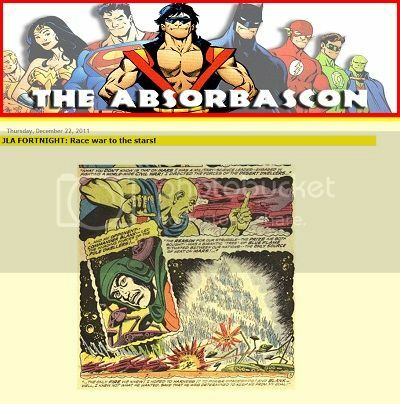 A caustic review of 1969's Justice League of America #71 from The Absorbascon regarding the debut of Commander Blanx and one of comics' earliest and most outrageous retcons! Part 3 offers an extended Gotham City sequence involving Mr. Freeze, Commissioner Gordon, Harvey Bullock, and Renee Montoya. 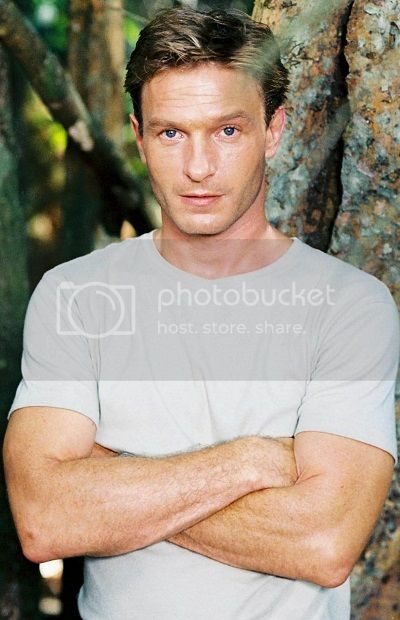 Where the film becomes of interest to this blog is Part 4, with the casting of Thomas Kretschmann as Commander Blake. I confess to not being terribly cognizant of the actor, despite having seen Blade II, Downfall, and Resident Evil: Apocalypse, though in my defense only once each. Blake is an astronaut who transmits data to the Middleton Space Center, whose mission director is Dr. Saul Erdel (character actor Bob Gunton, active since 1981 in at least one movie everyone has seen. Miguel Sandoval & Richard Gant are offered as color blind alternatives, but no, we're all up in Gunton.) The space station goes kablooey, so it's Superman to the rescue, with Lois Lane & Perry White reporting afterward. John Jones has a cameo in Part 5, but isn't cast yet, with Daly favoring Lucius Fox, Selina Kyle, and John Corben. Part 6 is all about the aliens, as we learn Commander Blake sabotaged the space shuttle to drop Starros on Earth, and he's in secret communication with Lex Luthor's executive assistant Mercy Graves (the beguiling Sanaa Lathan.) 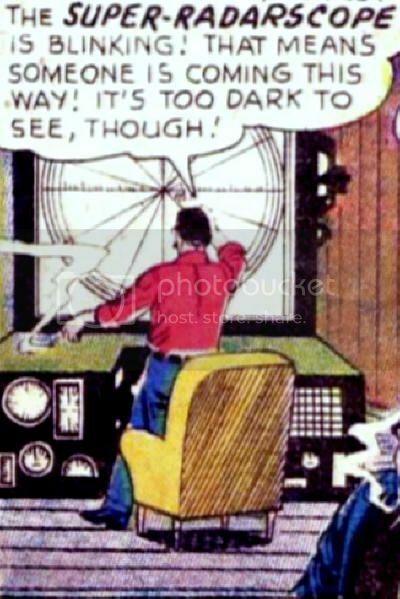 Part 7 sees Dr. Erdel and Superman investigating the sabotage, and casts Jimmy Olsen & Lex Luthor. Mercy Graves meets Bruce Wayne and Lucius Fox in part 8, while the plot thickens with cameos for John Henry Irons and Professor Vale in part 9. More importantly for us, John Jones is properly introduced here. I didn't start watching Breaking Bad until this summer, and no disrespect to Lance Reddick, but Giancarlo Esposito is the better choice for the role. Daly also offered Javier Bardem, but again, no, he was right the first time. "Detective" Jones investigates Middleton in part 10, which also involves the first meeting between Superman and Batman. Maggie Sawyer and Dan Turpin are tapped next as the consequences of a run-in with John Corbin are played out. 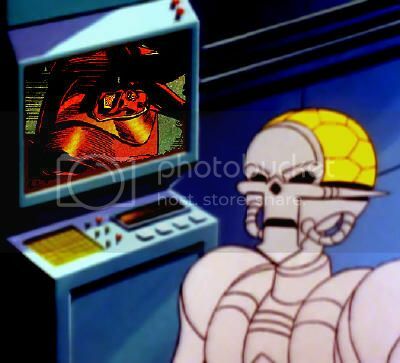 An assassination attempt is made by a Martian warrior in Part 12, which I've tried not to spoil, but was revealed links ago if you're clicking along. The first big battle between Superman and Commander Blanx leads to Bruce & Lex on the run from Starros and betrayers, with Dr. Erdel and John Jones acting on the periphery. The Martian Manhunter and Commander Blanx clash, while Lois Lane needs saving from Saul Erdel, Mercy Graves preps a legion of Starro drones, and John Corbin becomes Metallo. J'Onn J'Onzz and Lois Lane team up to save Earth from the fate of Mars, while Bel Juz makes her presence known. Blanx and Bel Juz struggle to effectively counter the resistance, then comes the epilogue. I enjoyed Ryan Daly's very Manhunter from Mars friendly movie proposal more than I'm likely to appreciate any forthcoming actual films of a similar vein. John Jones doesn't get a lot to do, but J'Onn J'Onzz does, and of course it's great that Commander Blanx and Bel Juz are at the fore. They're not 100% in line with the comics, borrowing heavily from Ma'alefa'ak, Cay'an and others, but what else is new in the adaptation game? Remember, General Zod was a minor Superboy villain before Mario Puzo and Tom Mankiewicz got their hands on. I'm looking forward to more from Count Drunkula, and will revisit this linkography if the Red Planet hijinks continue, but you can get ahead of me by following Flowers & Fishnets! 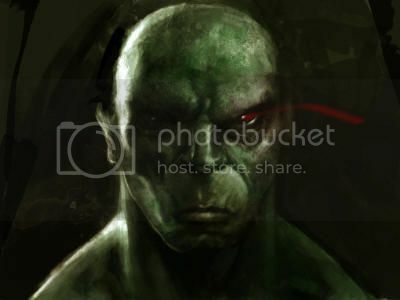 According to Comicvine, the Martian Manhunter has appeared in 2,222 comics to date. Fun odometer read. These tales from MARTIAN MANHUNTER #0-9 begin as the Manhunter tells Superman how he came to Earth. 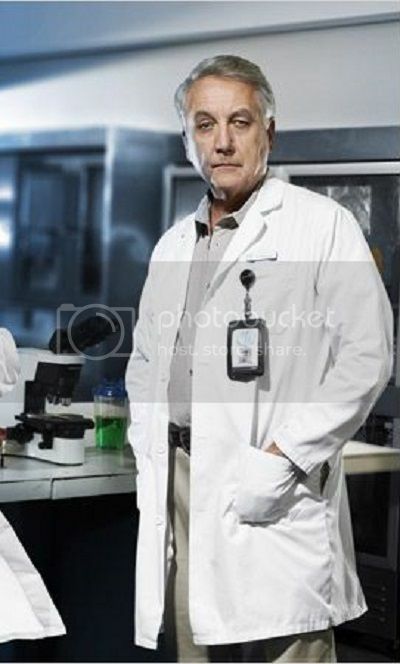 In his guise as Detective John Jones, he tracks a serial killer and investigates a mystery at Cadmus Laboratories, then saves the Justice League from the threat of Malefic. We're getting a new book. 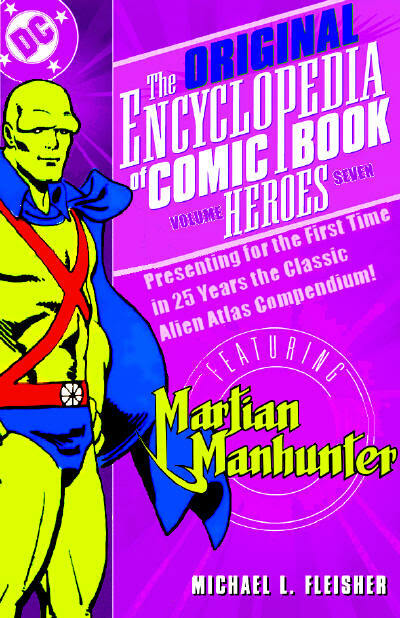 This is only the second time a full color Martian Manhunter trade paperback has been published for the U.S. market, following 2007's The Others Among Us mini-series collection. Even the second and final volume of Showcase Presents: Martian Manhunter dropped the month after his murder in Final Crisis. It's S.O.P. Hopefully, I like that series better than this one, which began to routinely infuriate me with the issue immediately following those collected in this trade. "Son of Mars" is a cute play on Jemm's presence and production history, and all the best issues not involving Chocos or DC One Million are here. I'm hopeful we'll get "Malefic" and the various Mandrake illustrated bio/origin/pin-up pages from this period, as well. A FOREVER EVIL tie-in! Survivors Martian Manhunter and Stargirl make a perilous trek across a Super-Villain occupied United States. Their first stop may be the last as they enter Gotham City and Clayface-occupied territory! This issue is also offered as a combo pack edition with a redemption code for a digital download of this issue. Hey, Batman fans? How you doing? Listen, do you appreciate how much damage the CSA would have to have to have dealt to the Martian Manhunter for Clayface to survive 60 seconds against him? Anyway, Eddie Barrows draws a better Alien Atlas than Dave Finch, so hopefully he'll draw the spin-off series we're totally getting. With everything to lose, Lex Luthor and his Injustice League raid the stronghold of the Crime Syndicate with consequences so devastating, the DC Universe will never be the same! It’s here! Straight from the hit video game Scribblenauts Unmasked: A DC Comics Adventure comes an all-new, all-ages adventure featuring Maxwell, Lily and as many DC characters as you can imagine! You don’t want to miss this! Collecting THE BRAVE AND THE BOLD #28-30, JUSTICE LEAGUE OF AMERICA #1-30 and MYSTERY IN SPACE #75! 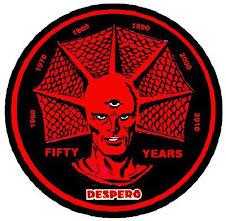 Together, Aquaman, The Flash, Green Lantern, Martian Manhunter and Wonder Woman stand against such rogues as Starro, Despero, Kanjar Ro, and Felix Faust! During the first year of this blog, I checked out the initial two Showcase Presents collections from the library and did write-ups for 30-odd issues of this series. They were pretty funny synopses in my humble opinion, but they were lost in a drive crash that I've given up all hope of ever recovering. The reason they were never published before that calamity is because I lacked color art for the prospective posts, which I could scan from glossy stock in this Omnibus. On the other hand, I found these seminal stories to be some of the dumbest comics I've ever read, and the thought of spending a c-note on them is troubling. Do I really want this crap on my bookshelf for the rest of my life? In this latest trade paperback collecting JLA #36-46, the team is up against a new, deadly Injustice Gang led by Lex Luthor. And then, Ra’s al Ghul continues his quest to save Earth from its inhabitants by thinning the ranks of humanity – starting with the Justice League! Let's see: this volume collects "World War III," featuring one of the most badass Martian Manhunter moments in his publishing history. Then there's "Tower of Babel," one of the all-time greatest Justice League stories. In the middle, a forgettable Atom guest appearance, but an awesome collection all in all. Thumbed through my copies, but knowing the gist of it all via the interwebs, can't be bothered to actually read them. Jay Garrick has opened a school for youth with special talents and abilities, to train a promising new generation of Super Heroes. However, things fall apart as a mysterious foe, determined to take down the new Titans team, attacks the San Francisco Pier—pushing these young heroes to their absolute limits. It seems like the guys doing digital first comics are the ones writing the DC Universes people really want to read. Batman versus Superman! Trapped by the Toymaster and Mongul, our heroes turn on each other! Who will save Batman and Superman if they can’t save themselves? This epic issue is presented in a special sideways format! Having read the Villain's Month Mongul story and seen that there is no connection between Mongul and Martian Manhunter in the New 52, I will take this opportunity to discontinue Mongul coverage on this blog. Good day, sir! It was very flattering and I got a few hundred extra hits thanks to the attention, but it also made me realize that I hadn't updated the "Encyclopedia" since it was posted in the middle of 2012. I rushed to correct that error, only to find the problem was much worse, in that I had decided to reach a stopping point on writing/coding the thing prior to publication, so that it had in fact been out of date better than a year prior to that point. After a lot of work and constant use of CTRL+C/CTRL+V, I present the first ever to-the-minute (comrades excluded) valid Martian Manhunter reference source for the blog, which includes incorporating pedantic recommendations from The Comic Bloc Forums. It's an ongoing one man work in progress, you smug entitled half-wit.